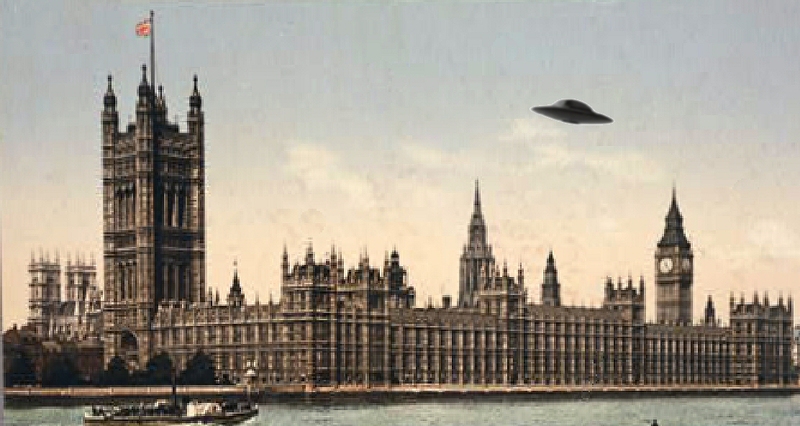 There have been two stories in the news recently about British politicians and UFOs. The two cases couldn’t be more different, and yet they’ve been treated in a very similar way by the mainstream media. To me, that’s the most interesting (and indeed horrifying) thing about these cases -- the fact that the average journalist can’t grasp the distinction between someone who fervently and obsessively believes in an unorthodox theory about UFOs, and someone who simply has an interest in the subject of UFOs among many other interests. The first case concerns Simon Parkes, who is a member of the Labour party and a recently elected town councillor in Whitby in North Yorkshire. As he reveals in a video on YouTube, he believes he has been visited by reptilian aliens throughout his life, starting with a first encounter when he was just a foetus. He believes the aliens have a special interest in him, and that he is part reptilian himself. In the video, he comes across as much nicer and more intelligent than most politicians, and there can be no doubt he’s sincere in his beliefs. His claims are so bizarre, and so embarrassingly personal, that they’re not the sort of thing a politician (or anyone else) would choose to make up if they were simply seeking publicity. Inevitably, the media have portrayed Councillor Parkes as a batty eccentric, although his constituents and council colleagues don’t seem very bothered by his bizarre disclosures. The second case, as I’ve already said, is completely different from the first. 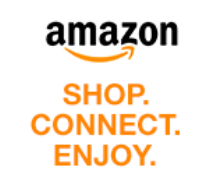 The person in question is Rupert Matthews, a Conservative politician and a prolific writer, as you can see from Rupert's Amazon page . He has written over 170 books, which is an impressive feat in itself, and they span an eclectic variety of subjects. Most of them are popular history books of the “coffee table” variety, and Rupert refers to himself as The History Man. But he has written one book on UFOs, one book on Roswell, and one book on Alien Encounters... and those three books out of 170 spelled political disaster. At the elections for the European Parliament in 2009, Rupert got enough votes to secure himself a place at the top of the list for the next available vacancy in the East Midlands constituency. That vacancy looked like it was coming up a few months ago when MEP Roger Helmer announced his forthcoming resignation. But then word that “Rupert Matthews believes in UFOs” reached the ears of the Chairman of the Conservative Party, Baroness Warsi. She stepped in to veto the democratically agreed selection process and put forward another candidate of her own choosing (baronesses, of course, have never been very bothered by technicalities like election results). You might think that, for a party that is constantly being told it’s out of touch with ordinary people, the Conservatives would be delighted to have a populist writer whose books line the shelves at Waterstones and are clearly aimed at the casual reader. And indeed the party doesn’t seem to have anything against his writings on the subject of dinosaurs, ancient Rome, the Titanic, the Art and Civilization of the Renaissance, the Spanish Armada or even Haunted London, Haunted Edinburgh or Haunted Oxford. But a book entitled UFOs, and one entitled Roswell, and one entitled Alien Encounters... the man’s obviously a dangerous crank! But is he? The typical UFO crank is a single-minded individual desperate to get their message across to the world. They write about nothing else. Their books are turgid and heavyweight, packed with original research and theories, and aimed at their enlightened peers. They don’t waste their time writing glossy coffee-table books for the casual reader, let alone books like Battlefield Walks in Devon, Lost Railways of Berkshire, or Heroes of Bomber Command. UFO believers don’t have time for such trivialities. On the other hand, a professional writer who has to make a living by writing about subjects that are likely to sweep off the shelves of UK bookstores is another matter. Fortunately this story has a happy, if unexpected, ending. A few weeks ago Roger Helmer decided to withdraw his resignation and stay on as an MEP, but at the same time he defected from the Conservative Party to the UK Independence Party as a protest against Baroness Warsi’s heavy-handedness. So she’s lost on two counts -- she can’t put her chosen puppet into the seat, and she’s lost the seat to a rival party! What a well-expressed post. I suspect we're seeing human nature in its unflattering nakedness. Politicians are cravenly terrified of public ridicule and Warsi chose dishonour above ridicule. On the other hand, to reach the lofty heights of the European Parliament she must be aware that politics has a short memory and her own reputation will have long recovered. I can't imagine what made Simon Parkes feel the need to share his beliefs/experiences with his electorate. Then again, honesty like this should be cast in statuary and placed on a Trafalgar Square plinth. On a slightly different tangent, do you remember about James E McDonald? He led a determined effort to prevent environmental damage to our skies by airline corporations. By and large, his 1960s concerns have been vindicated. Unfortunately, he was laughed out of the Congressional hearings and made ridiculous for his interest in UFOs. Serious politicians can be dishonest, hypocritical and publicly believe in God and ghosts; a curiosity about UFOs is simply not cricket, what?! Thanks very much for your comments. I have to admit I'd never heard of James E McDonald... I will certainly read up on him.